I'm loving the Scandinavian feel to the furniture pieces! The unfinished pine is looking good! I'm a sucker for cute plush animals and the color pink in the kitchen so those two things are perfect. Also that fabric, plant pot and those scissors had to be on this list too. 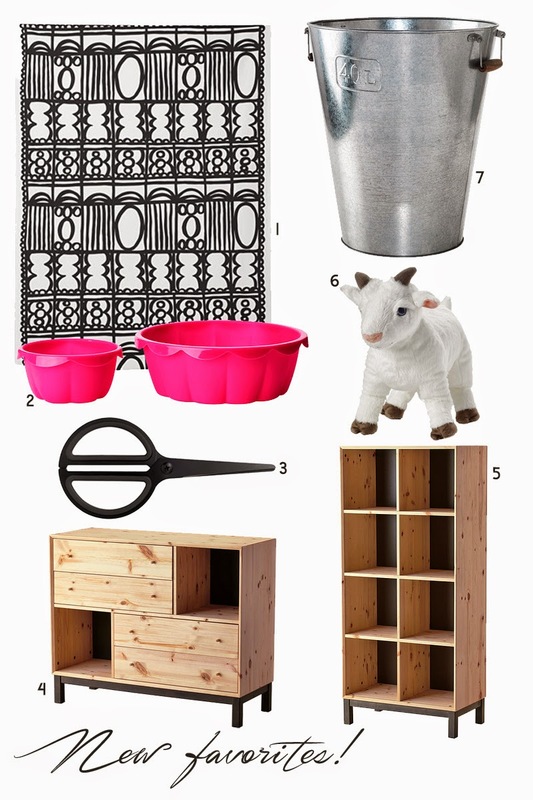 Which things will you scoop up at your next IKEA outing?